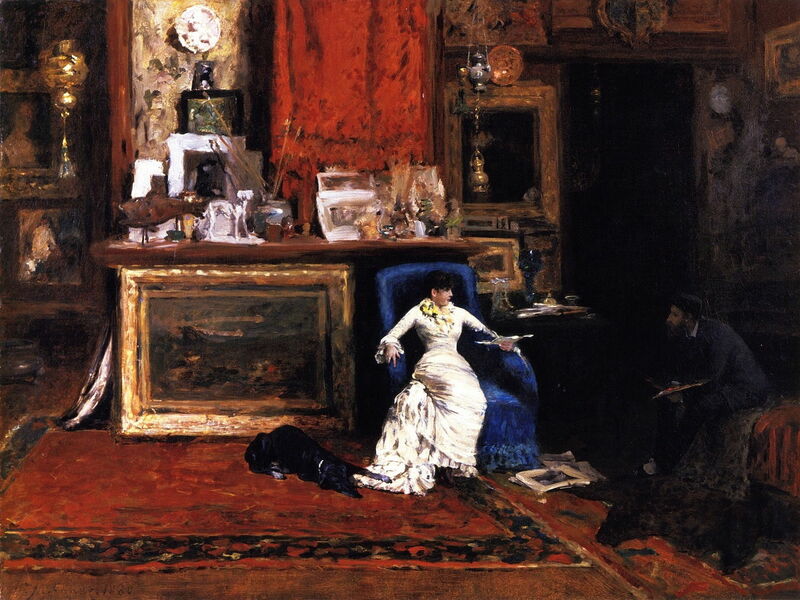 To commemorate the centenary of the death of the American Master painter William Merritt Chase (1849–1916), this is the first in a series of articles which outlines his biography, illustrated by some selected portraits of him, and by a selection of his own paintings. This first instalment covers the period up to 1883, including his training, and becoming established in his studio in New York City. 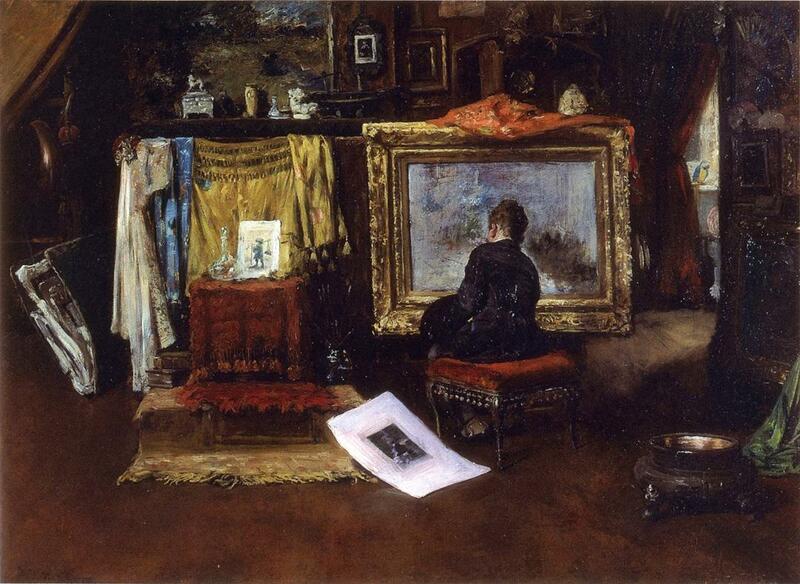 William Merritt Chase was the first of six children, and was born in Williamsburg (now known as Nineveh), Indiana, on 1 November 1849. His father was a local businessman, who in 1861 moved the family to open a shoe store in Indianapolis. William started working in the shoe store, and showing an early interest in art, received lessons from a local self-taught artist, Barton S Hayes, and discussions with another, Jacob Cox. For three months in 1867, Chase was a naval apprentice on board a ship in Annapolis, Maryland. Further discussions with his painting mentors led him to decide to move to New York for further training, which he did in 1869. 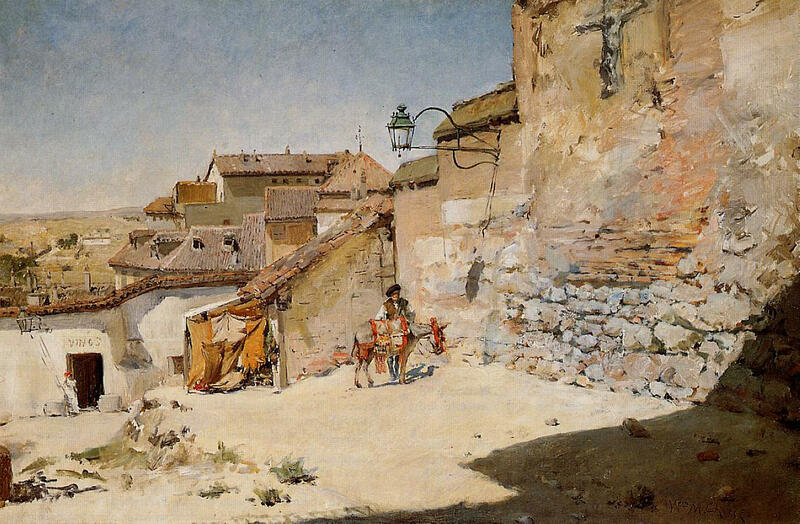 He initially studied with Joseph Orial Eaton there, then enrolled in the National Academy of Design under Lemuel Wilmarth (who had been a student of Jean-Léon Gérôme in Paris). He also made friends there with J Alden Weir and Albert Pinkham Ryder. 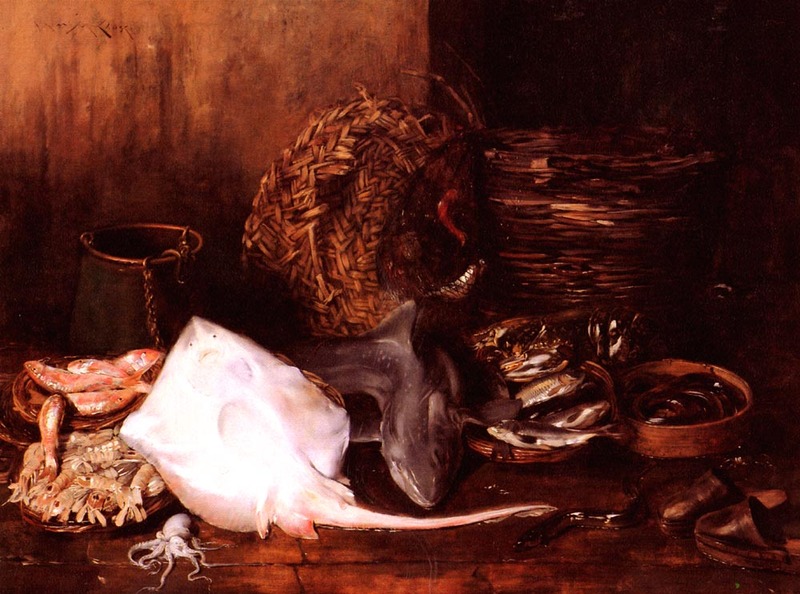 Surviving paintings from his early student days are still lifes, which show great promise. In the spring of 1870, family problems forced him to return to his parents, who were then in St Louis, Missouri. 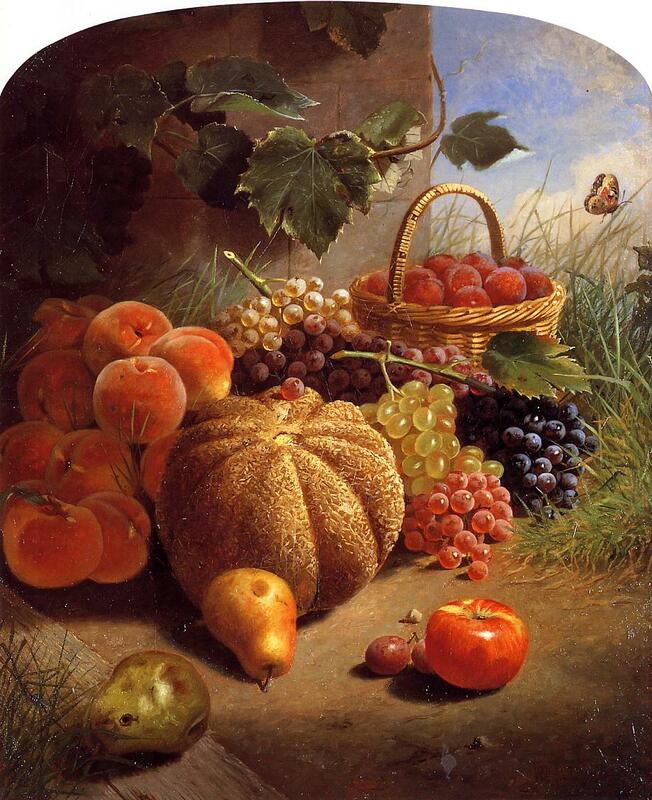 Once there, he shared a studio with James W Pattison, and continued to paint still lifes, as well as portraits. 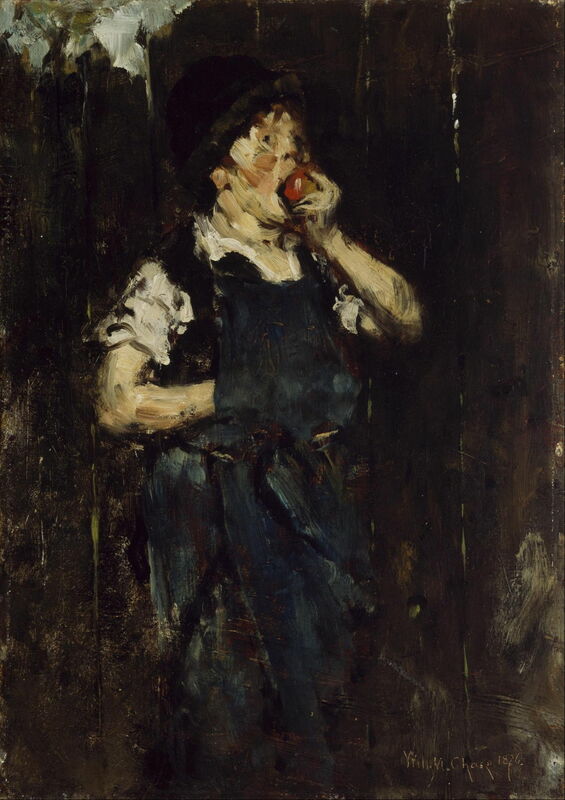 He exhibited his first paintings at the National Academy of Design, and the exhibition of the St Louis Agricultural and Mechanical Association. He was given two awards at the latter show, and aroused the interest of local businessmen, who offered to finance his travel to and study in Europe, in return for his help in securing European paintings for their collections. With their sponsorship, Chase sailed for Europe in 1872. He arrived in London, then travelled on to Paris, ending at Munich, where he enrolled in the Academy of Fine Arts. He chose Munich in preference to Paris, as it would offer him fewer distractions from his painting. He then shared accommodation with Frank Duveneck and Walter Shirlaw. 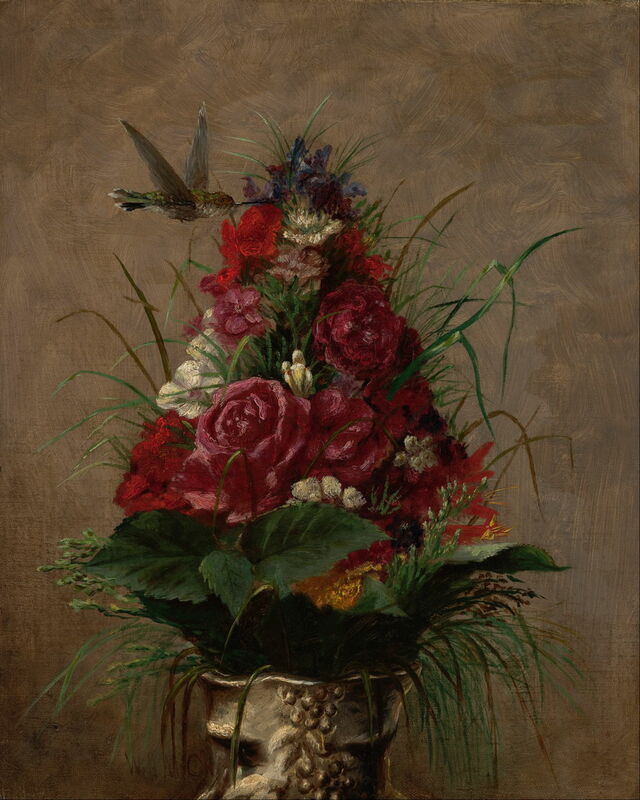 By 1874, he had progressed through classes taught by Alexander von Wagner, and started master classes with Karl von Piloty, a traditional history painter. He was awarded silver and bronze medals at the annual exhibition. 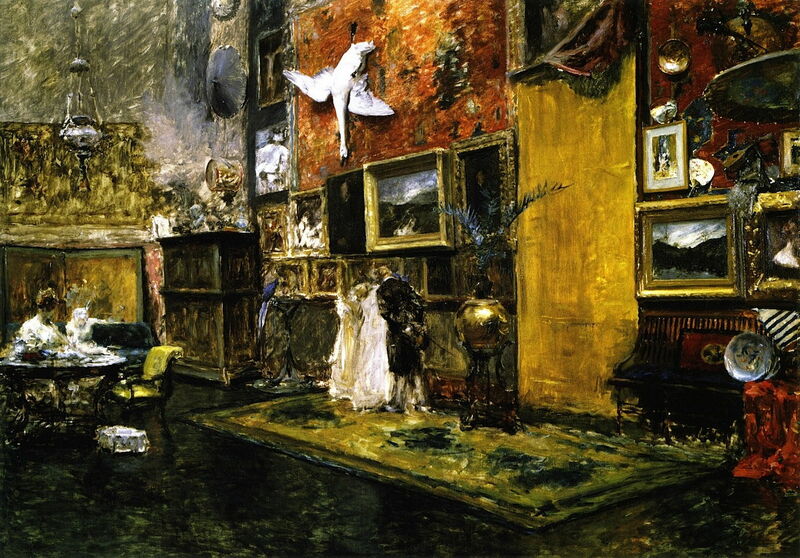 Chase sent work home to his patrons, and one, now lost, was exhibited at the National Academy of Design, and sold there. 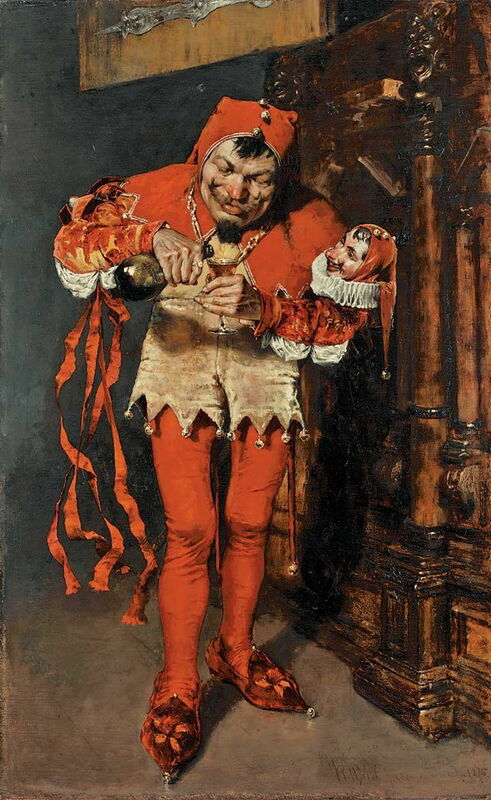 “Keying Up” – The Court Jester (1875) was also sent to his sponsors, and awarded a medal at the Philadelphia Centennial Exhibition of 1876. Another notable success at that time was his The Turkish Page (1876). On the strength of his work, Karl von Piloty commissioned Chase to paint portraits of his children the following year. 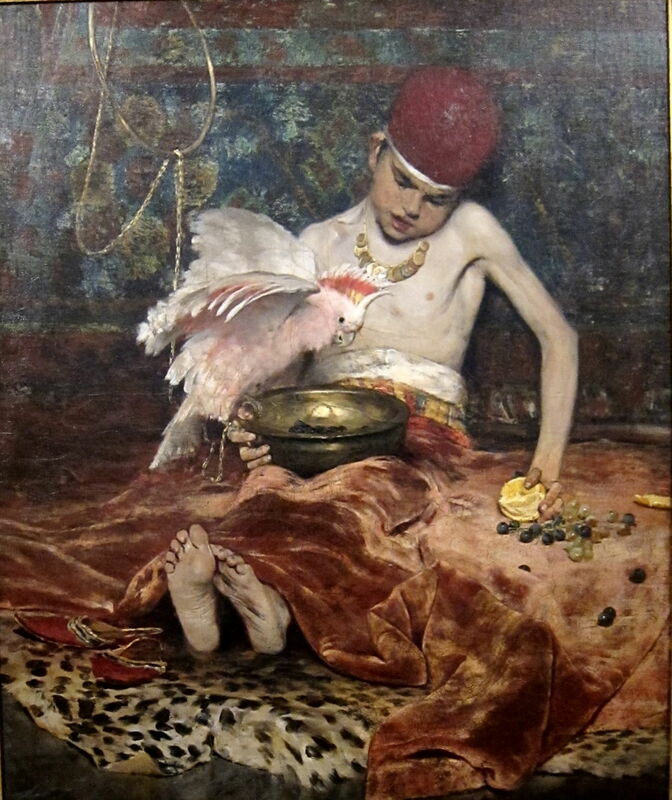 Frank Duveneck joined Chase in painting this young model, and Chase painted Duveneck painting his version; Chase could therefore claim to have painted both his own and Duveneck’s paintings. In late 1877, Chase, Duveneck, and John Henry Twachtman travelled to Venice to paint, and returned to Munich early in 1878. 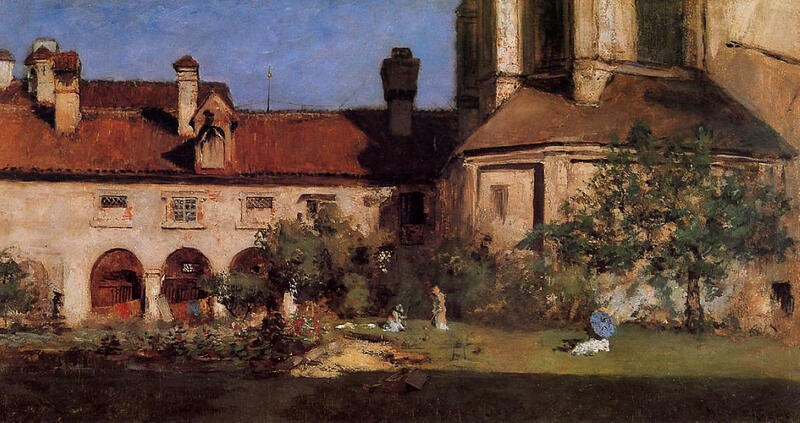 At the completion of his studies in Munich in 1878, Chase was offered a teaching position there, but turned it down in order to return to New York and to teach there at the new Art Students League. On his way back, he met J Carroll Beckwith, who was also returning to teach there. Once back in New York, Chase rented a studio in the Tenth Street Studio Building, which was to be the centre of his work for the next seventeen years. He joined the Salmagundi Club, and co-founded the Art Club. In 1879, he was elected to the Society of American Artists, but his nomination as an associate of the National Academy of Design was unsuccessful. He joined the Tile Club, and was inspired to paint landscapes en plein air. In 1880, he was elected President of the Society of American Artists. In the summer of 1881, he travelled back to Europe, which he was to continue in most years until he became involved with the Shinnecock Summer School. 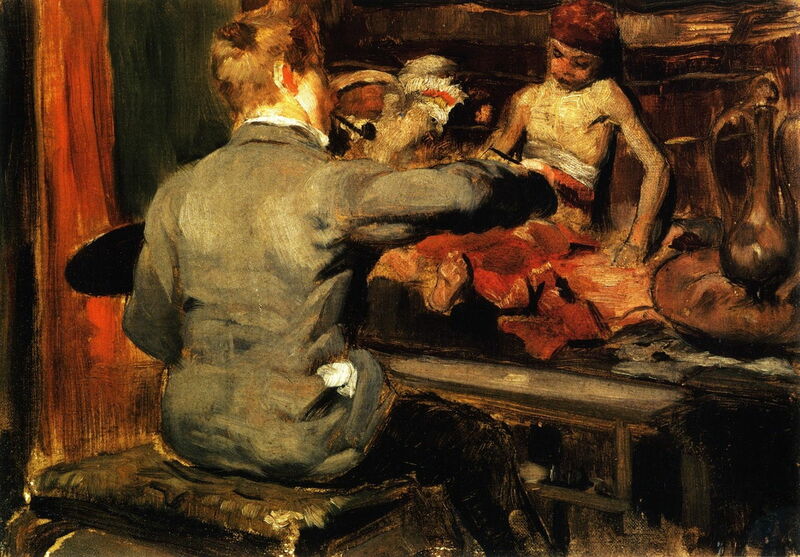 He met Mary Cassatt and Alfred Stevens, and admired the works of Manet. 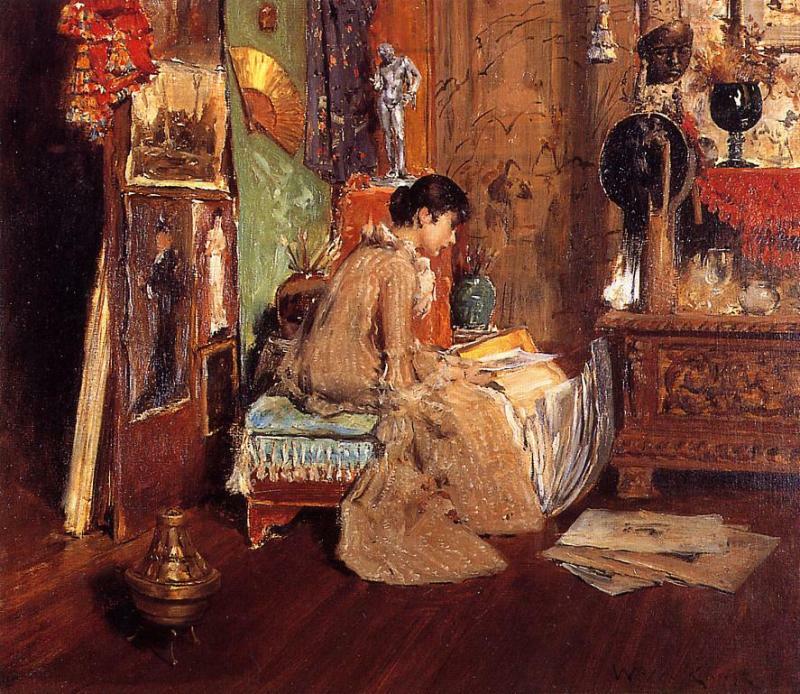 When in Europe in the summer of 1882, in addition to painting Sunny Spain, he met Giovanni Boldini. 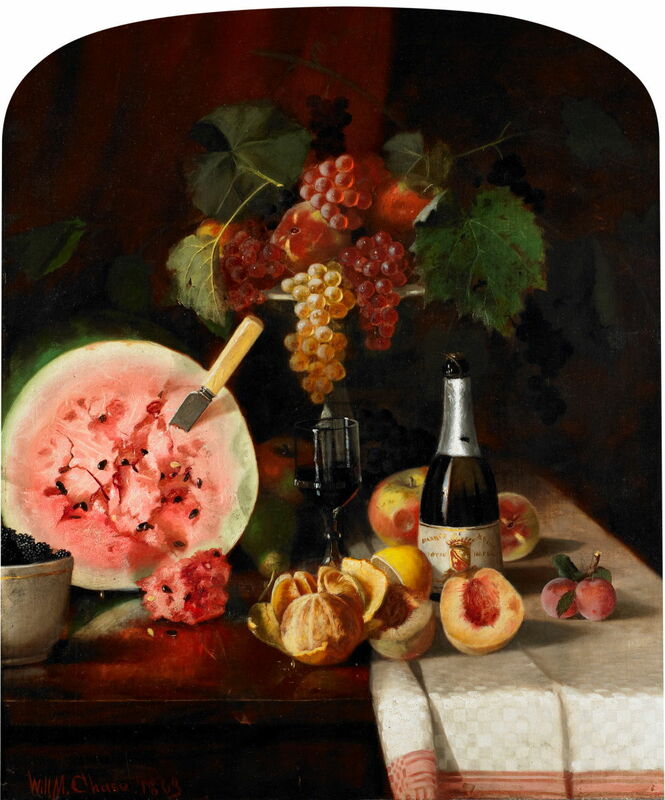 He also sought out Old Master paintings in particular. 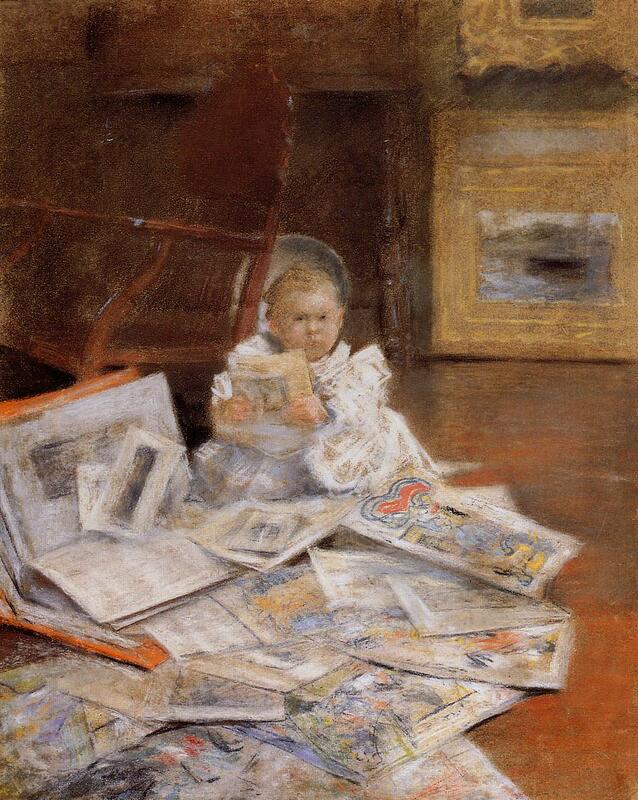 Chase, Blum, and others established the Society of Painters in Pastel in 1883. Chase then oversaw the admission committee for the Pedestal Art Fund Loan Exhibition, which both introduced American audiences to Manet, Degas, Courbet, and others, and raised funds to pay for the pedestal of the Statue of Liberty. 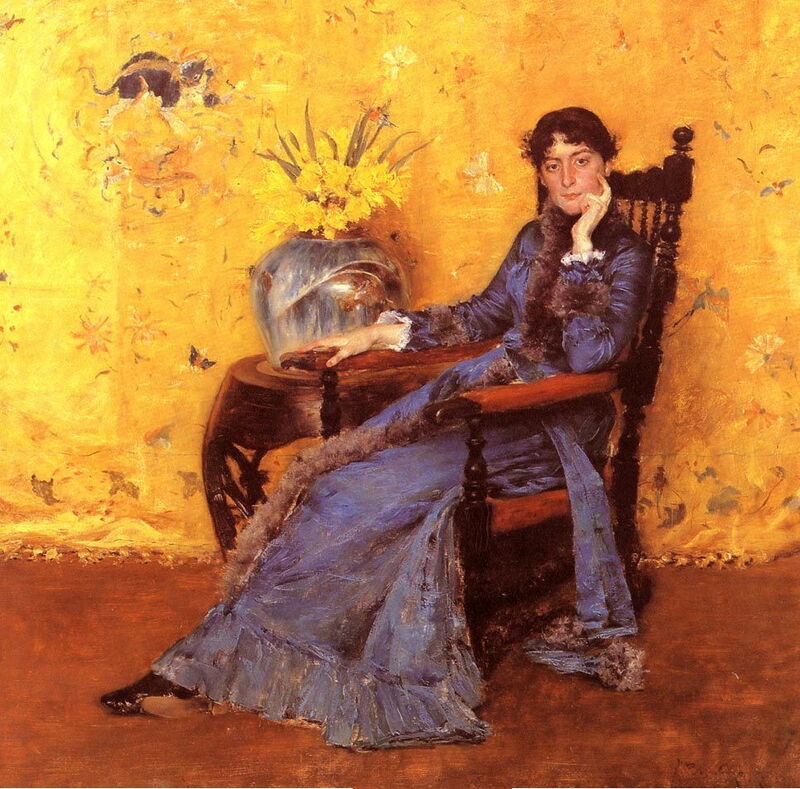 His Portrait of Miss Dora Wheeler (1883) won a gold medal when exhibited in Munich. His portraiture practice had already established his exceptional skill at painting young children. 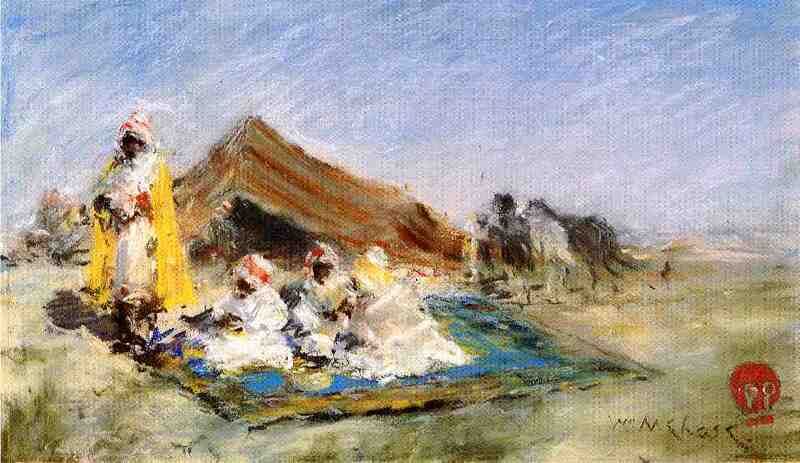 Posted in General, Painting and tagged Beckwith, Chase, Duveneck, history of painting, Impressionism, painting, Twachtman. Bookmark the permalink.